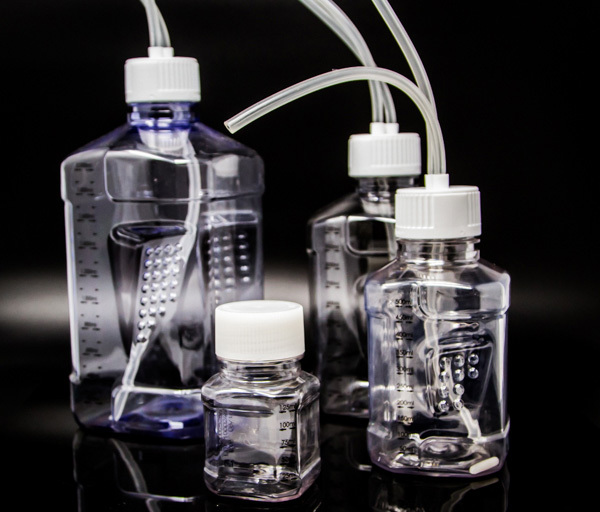 SaniSure® Cap2v8® Sterile Media Bottle Assemblies provide for a means of transfer, storage, and sampling in Cellon polycarbonate media bottle in sizes of 125 ml, 500 ml, 1L and 2L, thru a one-piece molded tube and cap system. The Bottle assemblies come sterile, include a tube clamp, an end plug, and a vent filter, ready to open and use. Bottle assembly includes: 25mm 0.2μm Vent Filter, Pinch Clamp & Tubing Plug.